Celebrate amazing amphibians on Save the Frogs Day! To mark Save The Frogs Day on 27 April 2013 we highlight World Land Trust’s favourite frogs. Without wishing to leapfrog other types of frog, there are a few species of frogs that have become close to our hearts over the years – either because they have been the subject of a fundraising appeal or because they live in nature reserves that World Land Trust (WLT) has helped create. Our all time favourite is the Golden Poison Frog of Colombia, one of the planet’s most deadly creatures, and the subject of a successful fundraising appeal by WLT and Fundación ProAves, the Trust’s conservation partner in Colombia. Living in the rich undergrowth of the Choco rainforest, this extraordinary creature is just 2 inches long and carries a single milligram of toxin. This small but lethal dose is enough to kill about 10 humans. Despite this frog’s infamous reputation and its historic importance to South America’s indigenous cultures, it is on the edge of extinction. Until last year the species was completely unprotected and its habitat was rapidly disappearing due to illicit coca cultivation, gold mining and development. In 2012, World Land Trust, with help from corporate supporter Puro Coffee, helped purchase 124 acres (51 hectares) of Chocó rainforest to create a nature reserve called Rana Terribilis Amphibian Reserve. 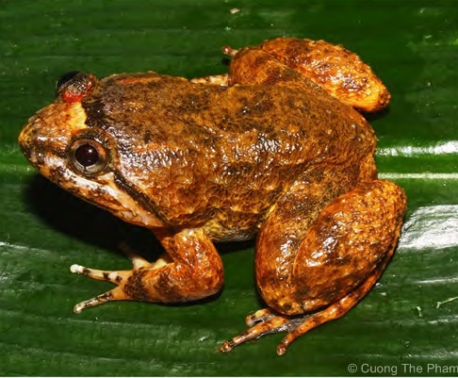 The reserve is sanctuary for one of the last known populations of the world’s deadliest frog. The Rana Terribilis Amphibian Reserve is now owned and protected by Fundación ProAves. 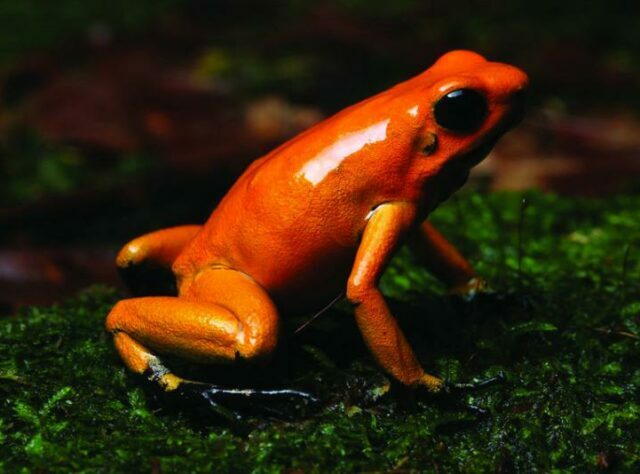 World Land Trust’s affection for the Golden Poison Frog is shared by the Alliance for Zero Extinction (AZE), which named the creature and the Rana Terribilis Amphibian Reserve one of the Seven Wonders of Endangered Species following a poll in which more than 100,000 votes were cast. Tree frogs are particularly sensitive to pollutants and are indicators of a healthy environment. As one biologist phrased it, amphibians might be used as ‘yardsticks for healthy ecosystems’. At the Tapichalaca reserve in Ecuador, a survey of amphibians and reptiles carried out by Ecuador’s National Museum of Natural Sciences has found 34 species of frog, of which 70 per cent are endemic to the region and about 50 per cent are thought to be globally threatened. The Tapichalaca Tree Frog (Hyloscirtus tapichalaca), discovered in 2001, is one of them and is only known from a few special sites on the reserve. 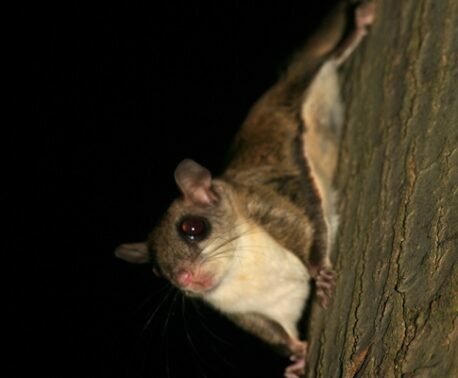 This species new to science was named for the Tapichalaca reserve, which is protected by Fundación Jocotoco, one of WLT’s conservation partners in Ecuador. Also in Ecuador but this time on the Cerro Candelaria Reserve owned and protected by WLT partner Fundacíon EcoMinga, herpetologists also from the National Museum of Natural Sciences discovered four new species of frogs in and around the reserves. Simpson’s Plumb Toad, discovered on Fundación EcoMinga’s Rio Zuñac reserve in 2011 and named for WLT trustee, Nigel Simpson. © Nigel Simpson. The herpetologists were especially thrilled to find a surviving population of a Harlequin Frog (Atelopus palmatus) that was thought to be extinct; this was found near another of their reserves, Rio Zuñac. 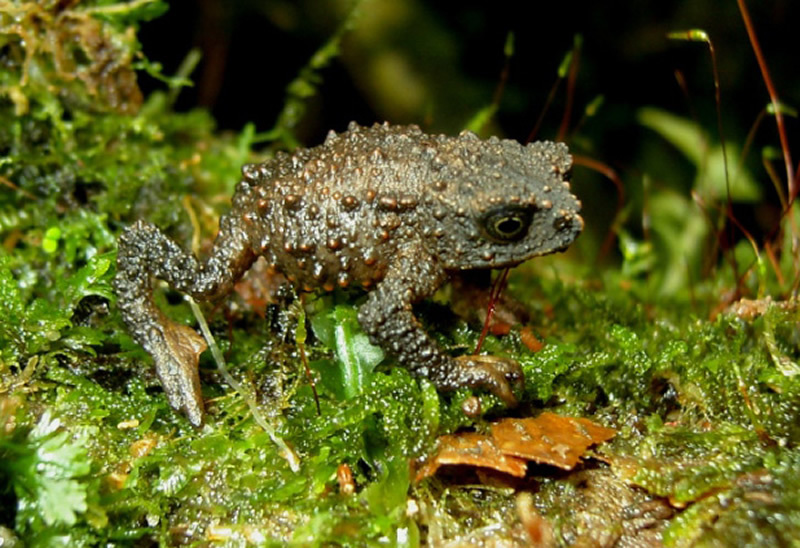 More recently a toad, never before described, was discovered on their Rio Zuñac Reserve and named for WLT trustee, Nigel Simpson – Simpson’s Plumb Toad (Osornophryne simpsoni) – in recognition of his commitment to conservation in Ecuador. 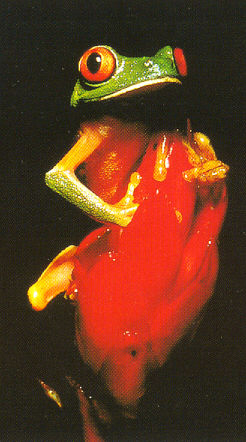 This image of the Red-eyed Tree Frog helped WLT launch its first project, Programme for Belize. © Kevin Schafer. We cannot leave out the Red-eyed Tree Frog, an iconic species whose image helped us launch the WLT’s first project, Programme for Belize. The amazing picture (featured right) was captured by renowned wildlife photographer Kevin Schafer. We used the image repeatedly in our fundraising efforts, to bring to life the tropical forests of Belize. Ever since Life on Earth was filmed by Sir David Attenborough – one of WLT’s patrons – this frog has become synonymous with the rainforest. Populations of Red-eyed Tree Frogs are stable, thankfully, but numbers of most other tree frogs are known to be seriously declining. Tree frogs are particularly sensitive to pollutants and are indicators of a healthy environment. As one biologist phrased it, amphibians might be used as ‘yardsticks for healthy ecosystems’. Since launching Programme for Belize the Red-eyed Tree Frog helped us save 262,000 acres of tropical forest and other threatened habitats in Belize. Please help World Land Trust protect more frogs in more reserves across the world by making a donation to the Trust’s Buy an Acre appeal.